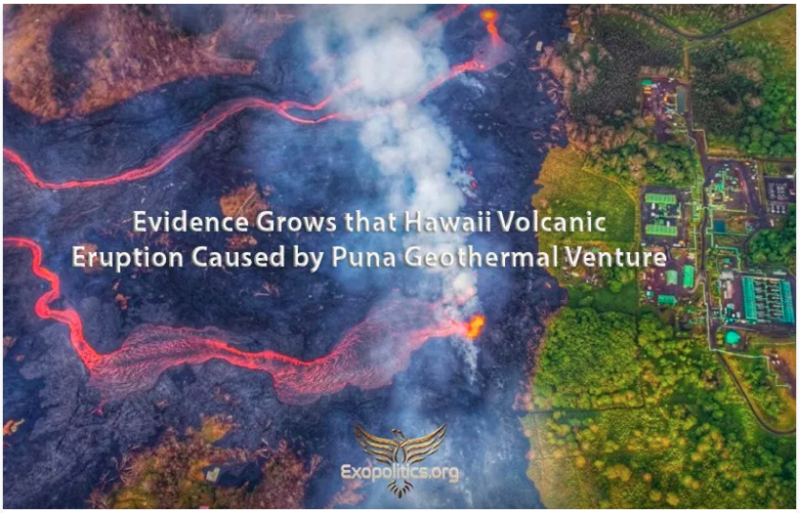 FALSE FLAG ALERT: Did the Israeli-owned geothermal plant cause Kilauea’s volcanic eruption after triggering an earthquake swarm? A column of robust, reddish-brown ash plume occurred after a magnitude 6.9 South Flank following the eruption of Hawaii’s Kilauea volcano on May 4, 2018 in the Leilani Estates subdivision near Pahoa, Hawaii. And, if so, was this act of environmental terrorism a LIHOP or MIHOP? Switzerland even shut down a geothermal electric station because of the earthquakes it was causing. See the blue highlighted screenshot from Wikipedia below. There was a distinct pattern of earthquakes and tremors that accompanied the eruption of Kilauea volcano which began on May 3rd of 2018. Fracking has been identified as the main culprit for numerous newly developed earthquake zones across the planet in places like Oklahoma. Did fracking cause the Hawaii volcano eruption? 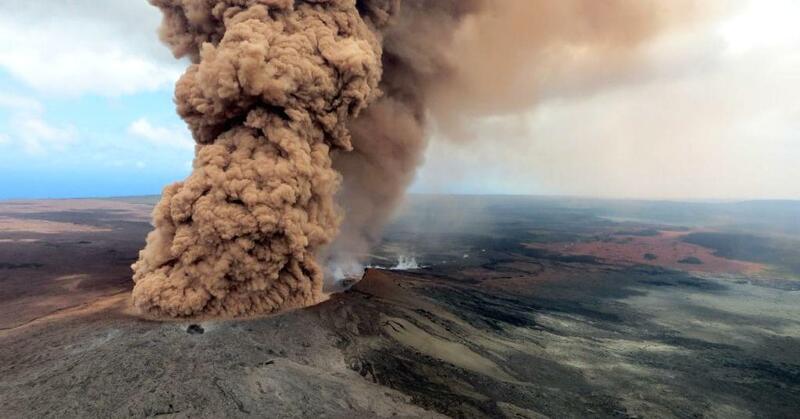 There is another quite plausible theory about this curiously timed volcano on Hawaii. It’s now a well-known fact of life on planet Earth that both earthquakes and volcanoes can be triggered using scalar wave technology. Some highly proficient seismologists and geohazard specialists have conclusively connected the dots which have proven that an outside energy source has caused multiple seismic and volcanic events around the globe. This additional source of seismic and volcanic causation is by no means mutually exclusive with the Israeli fracking. Just like the complex 9/11 inside job, it’s clear that the perps will use different technologies to accomplish their mission. For example, the following excerpt well explains the likelihood of various types of demolition technologies that brought down the two World Trade Center towers along with Building #7. In other words, the usage of the aforementioned trio of micro-thermonuclear explosives, super-nanothermite and directed energy weapons are all consistent with different theories which have been advanced by some very smart people. Therefore, one thing is now abundantly clear: These three effective methodologies are by no means mutually exclusive when postulating the controlled demolition of the three WTC buildings. That also includes those typical explosives and standard operating procedures which are routinely used in controlled demolitions around the world. It has also been theorized that there were other even more advanced yet ‘unknown’ technologies utilized to assist in the 9/11 false flag demolitions. Which begs the question whenever any major environmental catastrophe simply comes out of nowhere: Was this ongoing volcanic eruption a LIHOP or MIHOP operation? 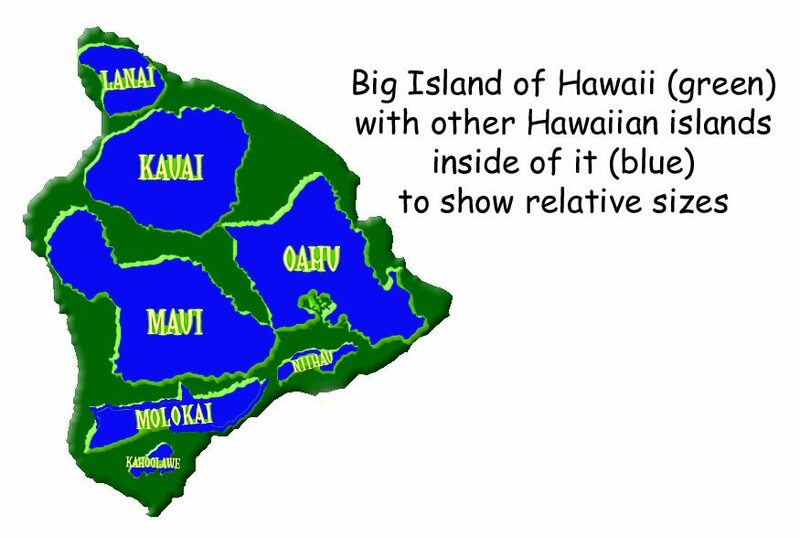 But why would Israel want to trigger a major volcanic eruption in Hawaii? The whole world knew that this highly inflammatory and illegal move was an attempt by Israel to legitimize the land theft which permitted the embassy to be relocated to Jerusalem. The following screenshot from Wikipedia even documents the fact that Israel outright stole the new embassy site during the Six-Day War. Whenever there is a highly consequential natural or manmade disaster, there is a great likelihood that the New World Order globalists are hard at work. Whether the catastrophic event is truly natural or entirely manmade is actually irrelevant since the UN stealth agendas are ALWAYS advanced in either case. The critical point here is that the Big Island is just the kind of paradise that the global elites want to cordon off as a highly protected environmental area for their exclusive use and enjoyment. There are intricate maps on the Internet which show the whole world carved up in this manner. This stealthy plan represents a key aspect of the New World Order after the global population has been reduced to 500 million people. The two primary means by which these newly protected regions will be established are environmental terrorism and ecological sabotage. Hence, there has been a considerable uptick in the number and intensity overwhelming calamities occurring across the planet. Many of these are in fact manmade. Some of them, like a naturally formed hurricane in the Atlantic, are then taken over by the geoengineers and hijacked. Using highly advance geoengineering techniques, they can then steer the artificially intensified superstorm into a targeted coastline or major metro area (e.g. Hurricane Harvey was directed at Houston). KEY POINT: Natural volcanic eruptions can likewise be be “hijacked” by geoengineers who understand how to exacerbate them via scalar wave technology and various fracking techniques. In this way volcanoes can be used to scare people off the surrounding lands, or off the island altogether. Special Note: There is a common sense reality about the rapidly developing and quite surreal situation around Kilauea–“the most active of the five volcanoes that together form the big island of Hawaiʻi”. Given that this volcano has been markedly active for decades, it’s now clear that the state regulatory agencies failed the many residents who were allowed to live within the exceedingly dangerous rift zones. The developers involved in this extraordinary fiasco must have bribed every government official in sight (at the county, state and federal levels). Kīlauea has been erupting nearly continuously since 1983 and has caused considerable property damage, including the destruction of the town of Kalapana in 1990. Why would anyone ever build a luxury estate in the middle of an active volcanic rift zone? Israel’s Prime Minister Benjamin Netanyahu has repeatedly demonstrated that there is absolutely nothing he will not do to advance the Greater Israel project. He has exposed himself as a primary perpetrator of the 9/11 false flag terror attacks conducted on U.S. soil on September 11, 2001. Hence, why would Bibi’s warmongering Likud Party not carry out a horrific act of environmental terrorism to divert America’s attention from the calamitous opening of the new U.S. embassy in Jerusalem? N.B. A close reading of the following investigative report provides other crucial details that represents key dots on the radar screen which, when properly connected, indicates classic MIHOP false flag terror operation.